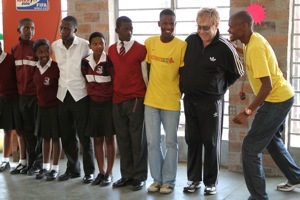 Khayelitsha, South Africa-- Sir Elton John plays find the ball with Grassroot Soccer Coaches and participants in the Football For Hope Center. 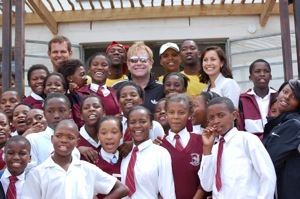 Sir Elton John celebrated his 63rd birthday with Grassroot Soccer (GRS) at the Football for Hope Centre (FFHC) in Khayelitsha, a township just outside Cape Town, South Africa, on March 25, 2010. Upon arrival at the Centre, Elton and staff members from the Elton John AIDS Foundation joined GRS’ Skillz Coaches and youth in the activity “Find the Ball,” which teaches youth about stigma and discrimination and the importance of knowing one’s HIV status. After learning about GRS’ history and program model during a tour of the facility, he stepped onto the pitch for a demonstration of the activity “Risk Field,” where he was greeted by the sounds of Happy Birthday, sung by Skillz participants in both English and Xhosa. Elton and partner David Furnish toured the Centre as part of a week of project visits for The Elton John AIDS Foundation (EJAF) of which they are both Trustees. 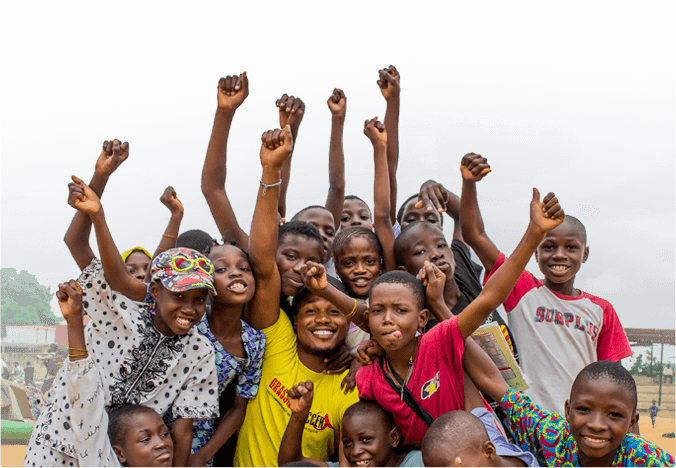 EJAF has provided over £10m in funding to HIV and AIDS related projects across South Africa, which has the highest number of people living with HIV in the world. Earlier in the week, he officially opened a Community Centre in Vrygrond with fellow AIDS campaigner Annie Lennox. The duo also hosted a fundraising dinner at Cape Town’s exclusive One & Only Resort to raise money for local projects. “I can’t think of a better way to celebrate my birthday,” said Elton. For more information on the work of the Foundation visit www.ejaf.com.